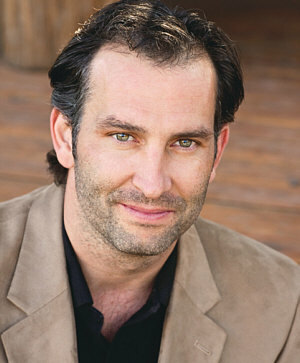 With numerous acting credits to his name, Kevin Sizemore has been a part of some of the coolest projects over the last decade; Will & Grace, JAG, NCIS and 24, just to name a few. Keep an eye out for this busy man. Read his interview below..
Feanix: What sparked your interest in acting? Kevin: It started when I was in Jr. High school back in my hometown of Princeton, WV. I was involved in Show Choir, but that was really all there was to do when it came to the arts at that time. When I was a senior in HS, I was cast in a commercial that came to a nearby town, and that’s what hooked me! Feanix: Can you tell us a little bit about the film that is coming up, Random Acts? Feanix: If you could work with a director living/dead who would it be and why? Kevin: Clint Eastwood because he doesn’t try to throw shiny objects at you to keep your attention for 90 min. It’s all about the actors, and if you don’t pay attention, you’ll miss something important in his films. It’s all about great storytelling. Crash: I love Film Noir, so I’m excited to see you in one! What is your favorite Film Noir from the original period? Kevin: WOW….there are so many great ones to choose from! I’m gonna stick with The Maltese Falcon w/ Humphrey Bogart as Det. Sam Spade. Crash: What do you anticipate your favorite aspect of shooting The Female Panther in the Film Noir style will be? Crash: Red Line looks very exciting. Did you manage to make it through that shoot with no injuries? Kevin: Heck no! I would have loved to have made it out unscathed, but when your doing an action packed film like that, it’ll never happen. 98% of the film is in a Metro Train that is flipped on it’s side, so you are stepping through windows, rails and seats are sticking out everywhere. 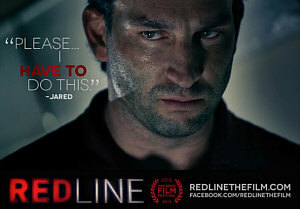 How did you get the role of Red Line? What was the coolest part of shooting that film? Being able to spar back and forth with some fantastic actors (Nicole Anderson, John Billingsly, Joe Williamson, Kunal Sharma, Keena Ferguson etc) and a cast that is flawless! Our director, Rob Kirbyson, had an impossible task keeping the cast focused and making sure the crew stepped up to the plate as well under the time constraints. Red Line premiers at the San Diego Film Festival Sept. 29th and visit www.redlinethefilm.com for the trailer. Crash: Which types of movies are your favorite to shoot? Action with lots of stunts or a bit calmer Drama? Kevin: I have always enjoyed the Lethal Weapon types, with a little of everything, but my focus has shifted dramatically toward scripts that have stronger values / morals. Most actors take every role (good or bad) that comes their way, and don’t come to find out that it was a huge mistake until years later. 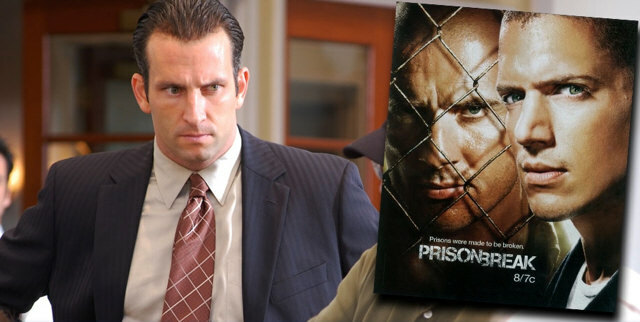 It’s fun to mix it up and get some action in, but I love a great dramatic story that moves people and makes them think. Crash: I see you’re a collector of sports memorabilia; what is your most prized item in that collection? Kevin: This one is EASY…. My Raiders Marcus Allen (Hall of Fame Limited Edition 3 of 32) Helmet my wife got me for Christmas! It’s like taking your very own private acting class every time I watch it! Tim Robbins, Morgan Freeman & Clancy Brown…WOW! Reminds me of my hometown in Princeton, WV back in the day. I like seeing the under dog prevail in the end. 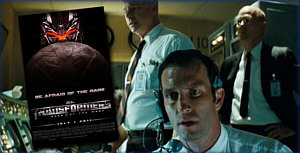 It’s such a great movie, it’s been made three different times. This can’t be a surprise to many people reading…..it’s just awesome! To have all that talent in one movie is amazing. I think all their outtakes are still my favorite though. Mr. Hand (Ray Walston) is also Candy in Of Mice and Men. Have to not sneak in The David Crowder Band & Journey! Kevin: ANY PLACE where my son / wife are first and foremost! #1 My friend of the family for years…. (RT)….who has a cabin in WV. There I can isolate myself away from the noise of the TV, phone and computer and just ride 4-wheelers, hang with family and enjoy nature. I just hate I don’t get there enough. #2 Canton Ohio? WHAT? Yep…..for the annual NFL Hall of Fame weekend. I used to go all the time and it’s the best weekend for a sports fan bar none! #3 San Fransisco…. I was there filming a commercial about 7 years ago near Christmas, and it was just a magical time. It’s also when my son met Santa for the first time! Crash: What other projects do you have coming up? Kevin: I’m doing a faith-based comedy titled “Can I Get A Witness Protection?” that deals with a guy who witnesses a murder, he’s at the wrong place at the wrong time….or was he? I continue to teach my acting classes…..which I really enjoy and make sure I’m spending as much time w/ my beautiful wife and son, because time goes by too fast sometimes! Kevin is a great guy. He does intelligent movies and brings class to everything he does. I look so forward to seeing Redline and know it will be another fine example of the work done by this man. If you have NOT seen Useless—see it. it is an amazing film.